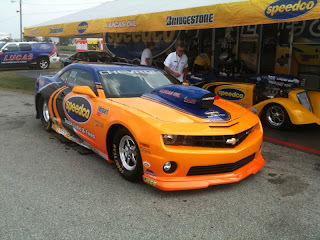 Last week's NHRA US Nationals was the debut of Arnie Martel's 2011 Chevy Camaro NHRA Super Stock car. 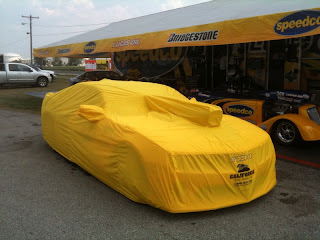 To keep the car clean in between runs, California Car Cover made a custom cover for his Chevy. As you can see the vehicle is not stock, so will some dimension sheets and diagrams we constructed a great looking cover for the Speedco Camaro. The cover had to accommodate the rear wing and parachute. It also had to be long enough to cover the front spoiler and fit well around the mirrors and and hood scoop. Embroidery and California Car Cover logo on the front. 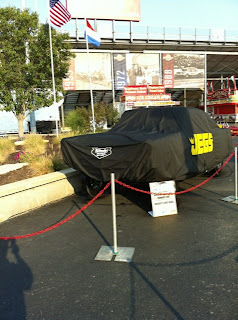 Also, on display at the US Nationals was a 1957 Chevy owned by Jeg's mail order. 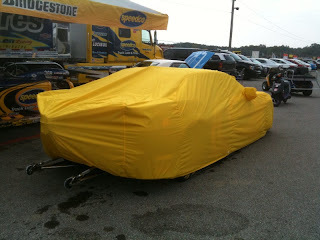 They needed a black car cover to keep the vehicle clean overnight at the racetrack. 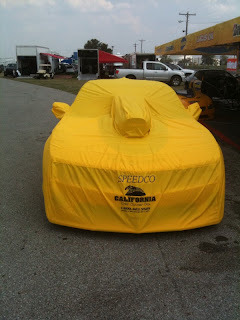 They ordered a custom cover with the California Car Cover logo on the rear and Jeg's added the custom screening on the front and sides. 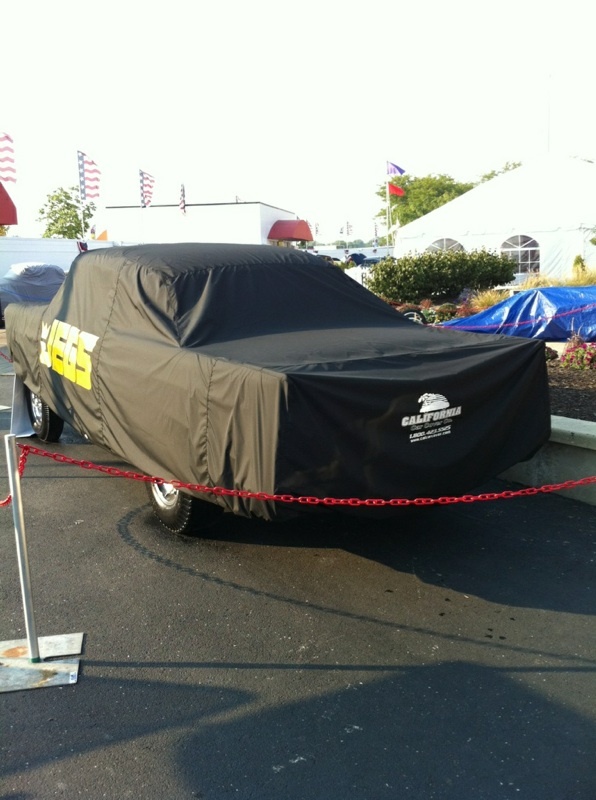 For more information on California Car Cover, check out our car cover info page.